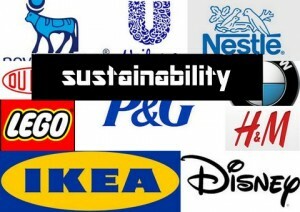 Since 2011 I have actively pursued the subject of sustainability, first while doing my MBA that had its focus on sustainability and then working on small projects in Grundfos A/S and The LEGO Group. The tug-of-war between resource use and their availability has, in the recent past, prompted the debate about sensible use of natural resources. Initially only the environmentalists were the flag bearers of such a debate and businesses, who are the actual users of natural resources, found themselves in the receiving end of the debate. In 1980s, with the publishing of the Brundtland Report, and the coining of the term ‘sustainable business development’, the businesses were placed at the center of any future solution to the issues of sustainability. Now sustainability in business is often defined by the concept of ‘triple bottom line’ – processes by which a company can continue to make profit while taking care of the environment and its employees, and the society at large. Most of the big corporations now follow this concept and engage in initiatives to address the needs of the environment and the employees. As the companies are coming under intense scrutiny by the customers and other stakeholders, they have to come up with innovative ways to address and communicate the sustainability related issues with their stakeholders. The projects that I did at Grundfos A/S and The LEGO Group revolved around researching on the business viability of their sustainability related initiatives and communication. At Grundfos I researched on the alignment of Grundfos’ sustainability policies with the demand of the market. This was done by collecting data on sustainability related certificates and CSR initiatives of Grundfos’ competitors, and preferences of sustainability initiatives from various customers. Based on the results of this study, recommendations were charted out as to which certificates and CSR initiatives are strategically important for Grundfos. The results were also published as part of my final MBA thesis. In LEGO at the Department of Corporate Affairs I worked on a project analyzing ‘best practices’ of global companies in terms of sustainability strategy, initiatives and communication, and stakeholder engagement. A report was submitted to the LEGO Group with the recommendations outlining the opportunities by which the company can align its sustainability strategy with the ‘best practices’.